A duet of black custom made Gerbera flowers. 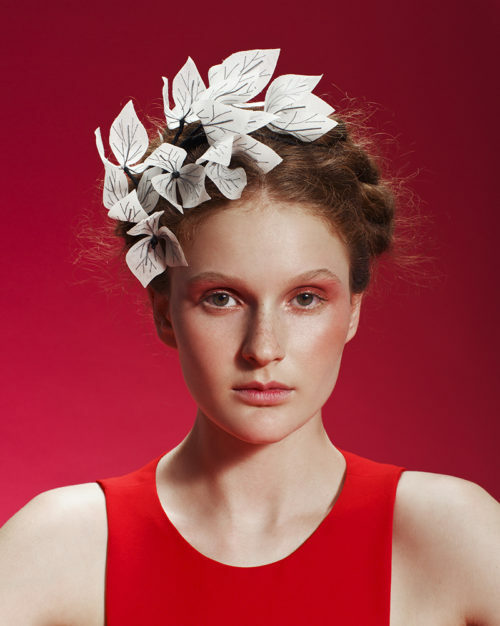 Petals are hand cut from silk organza fabric, to create a sheer and airy flower. Each flower center is beaded with attention, using crystals, beads and sequins. Together positioned on a custom-made black straw headband. (Headband is invisible). Perfect for a stylish evening look.